In Bilbao, San Sebastian, Vitoria. 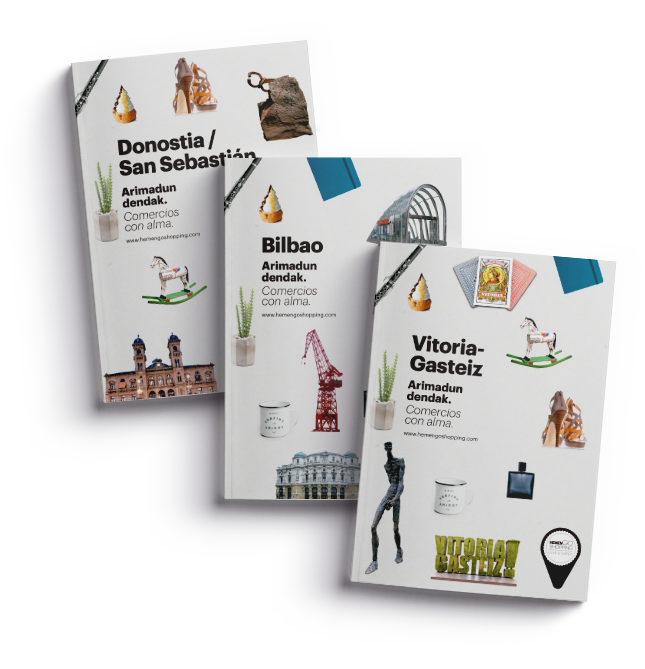 You can download free PDF copies of the Hemengo Shopping guides for Bilbao, San Sebastian and Vitoria. The guides include complete information (location, sector, photographs, practical information, etc.) on the cities’ most attractive, innovative, and authentic stores – the ones with personality are the ones you’ll remember!